Gerald "Gerry" Patrick McCann was born June 23, 1916 in Queens, New York City. His father, also named Gerald Patrick McCann, was born 1884 in Pennsylvania of Irish ancestry. His father was an electrician. His mother, Cecilia Smythe, was born 1882 in New York. His parents married in NYC in 1912. They had three children. His older brother, John J. McCann, was born in 1914. His younger sister, Cecilia, was born in 1920. They lived at 9115 Elberts Lane in Woodhaven, Queens, NY. In 1918 the family moved to 452 Edgewood Avenue in Brooklyn. He graduated from high school in 1934 and afterwards attended Pratt Institute of Brooklyn, where his art teachers were Monte Crews, Nick Riley, John Fleming Gould and H. Winfield Scott. According to the artist, "I first attended Pratt Engineering School, but then switched to the Art School, where I studied painting and anatomy with Nicholas Riley (1900-1944), who gave me the keys to his studio, enabling me to study his extensive collection of slides showing dissections of the human body." 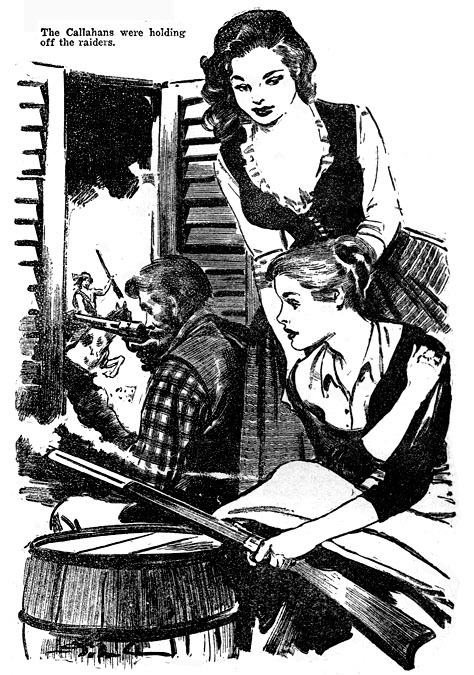 In 1939 he began to draw pen and ink story illustrations for pulp magazines. 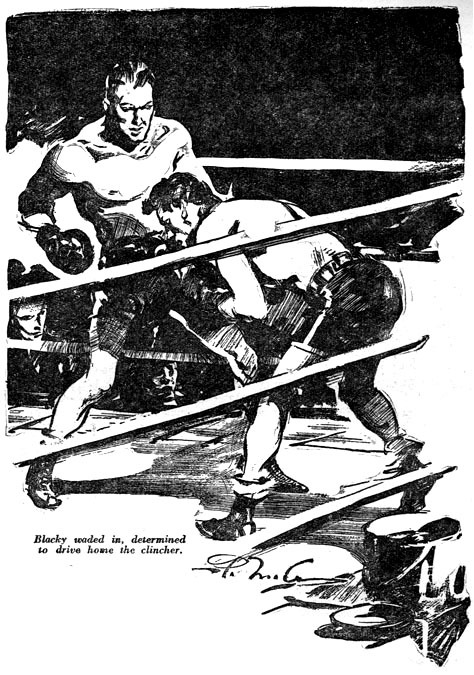 His work appeared in Ace Sports, Thrilling Sports, Sports Story, Western Story and Wild West Weekly. 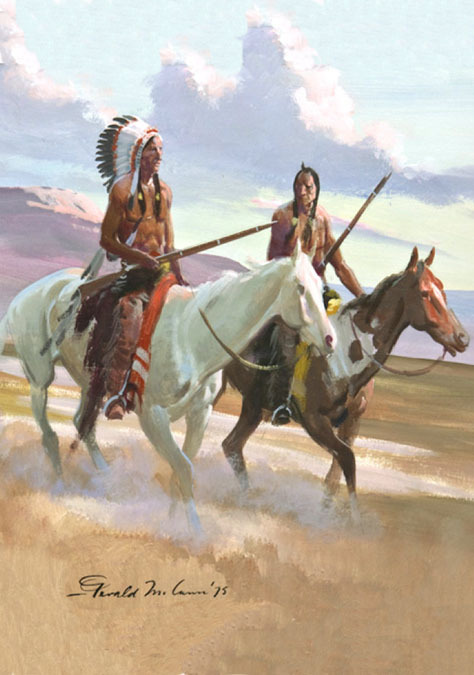 According to the artist," I began doing illustrations for Street & Smith, specializing in black and white dry-brush of Western subjects, and from this I learned to create the strong light and dark patterns to which all good painting can be reduced." He married his wife, Nell McCann in 1941. She was a young artist from NYC. On March 6, 1942, only three months after Pearl Harbor, he enlisted in the Army. He was recorded at the time to be six-foot-one and weigh 190 pounds. He was sent for basic training to Camp Upton on Long Island in Yaphank, NY. After the war he lived on Long Island, where he and his wife raised four children. He continued his advanced training at the Art Students League of New York, where he studied with Harold Von Schmidt and heard lectures by Harvey Dunn. 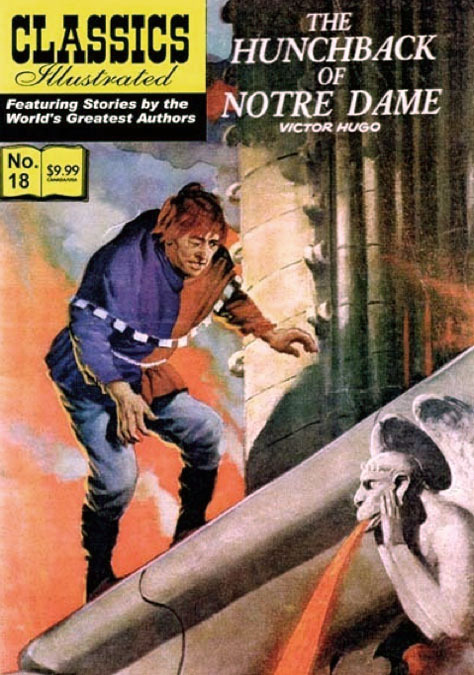 McCann later recalled, "Von Schmidt and Dunn were both strong influences on my work. I believe Harvey Dunn was one of America's most creative artists." 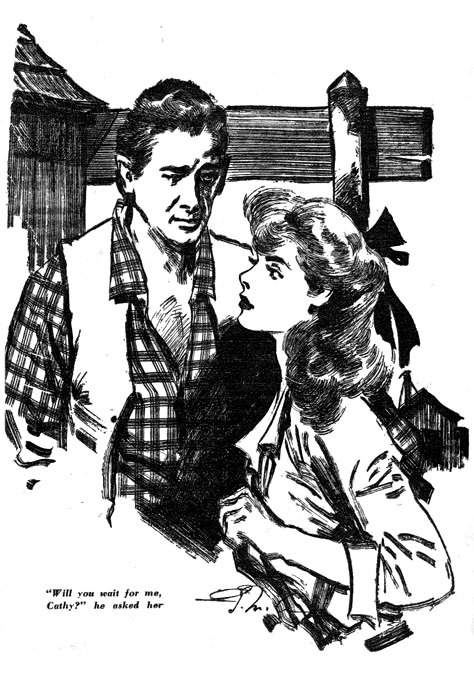 During the 1950s he drew story illustrations for Action Packed Western, All Novel Western, Exciting Sports, Giant Western, Popular Sports, Ranch Romances, Thrilling Ranch, Thrilling Sports, Thrilling Western, and Western Action. 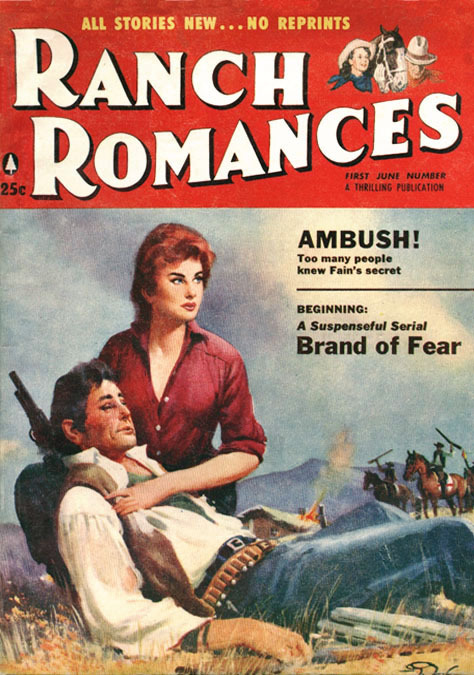 He also painted several covers for Ranch Romances. 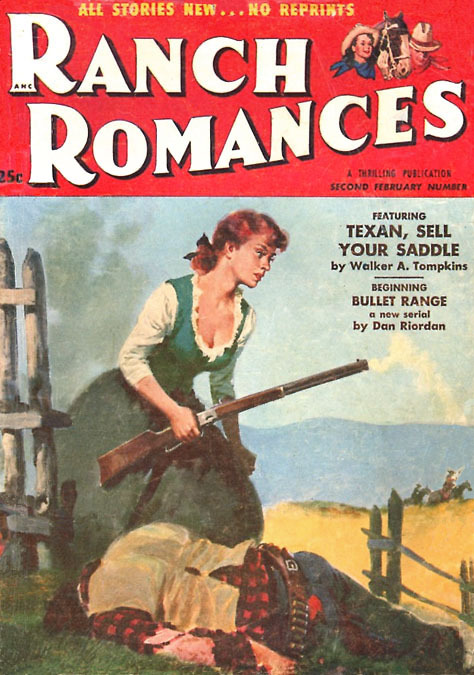 According to the artist "Over the years I did covers and illustrations for a variety of pulps and men's adventure magazines, always with a Western motif or outdoor background." 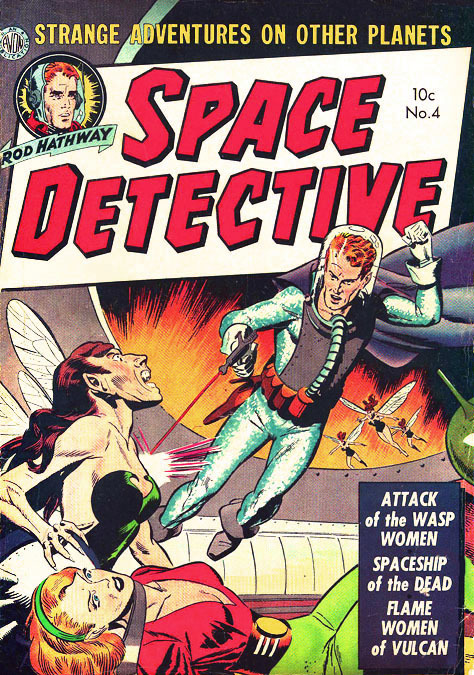 He also drew and inked comic books published by Avon, Hillman, St. John, Ziff-Davis, Charlton Comics, D C Comics, Dell, American Comics, and Gilberton's Classics Illustrated Comics, for which he also painted several covers. 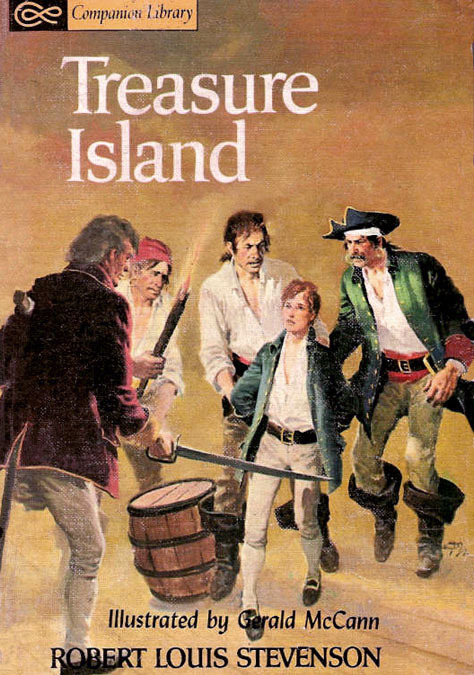 He illustrated dozens of historic adventure books for young readers, such as Let's Play Ball (1958), Rosina Cooper (1956), Wild Animals I have Known (1961) and Tom Sawyer Detective (1965). 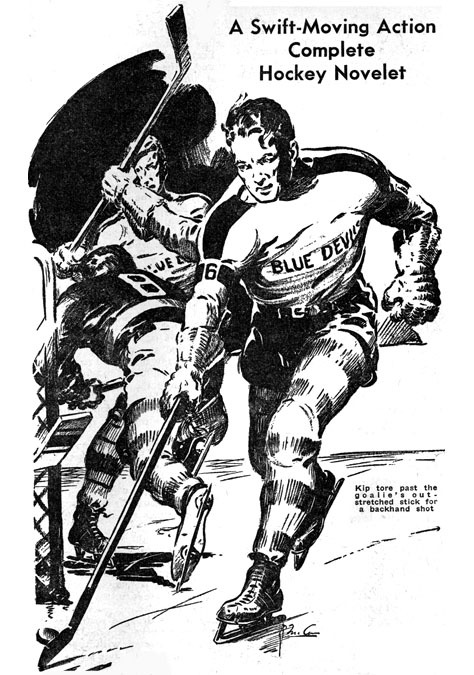 According to Everett Raymond Kinstler, "Gerry had a natural talent for working with dry brush in black & white ink. 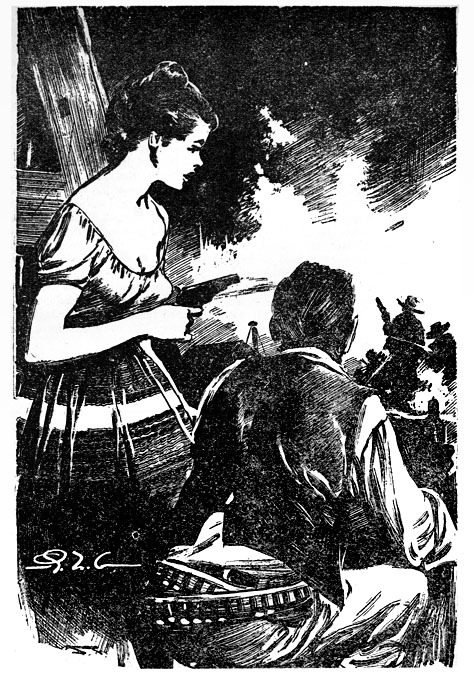 His detective and western work for the pulps was very graphic and strong. 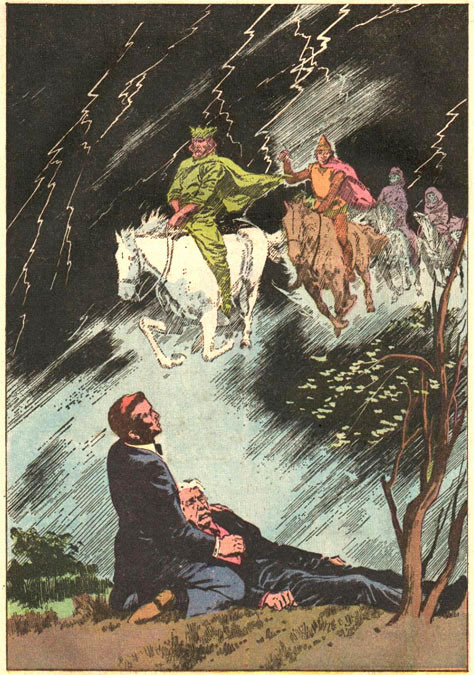 He did some work for Avon Comics and Classics Illustrated Comics, but I never felt that he was comfortable with comic books, or related much to that field. Gerry was a big guy. He had prematurely gray hair. He smoked cigars and cigarettes, and he liked beer and whiskey." When asked about his prolific output, McCann said, "People often ask me how I keep coming up with fresh ideas. I tell them I drink a lot." According to Jim Vadeboncoeur, "Gerald McCann, surprisingly enough, ended up at Dell in the early 1960s. Eventually he too just gave up on the comics. Or perhaps the comics gave up on him. Even with some softening inkers, McCann still looked right out of the 1940s. I'm sure he wasn't happy with the bastardized results, but he wasn't especially suited to the medium of comic books." In 1959 he moved to Madison, Connecticut, and joined the art community surrounding Harold Von Schmidt and the Famous Artists School in Westport, CT, where he taught courses in composition and landscape. In 1974, when the Famous Artists School was reorganized, the McCann family moved to 7 Jeanne Marie Gardens, apt. #1, Nanuet, NY, in Rockland County. They later moved to 16 Garrison Drive in Spring Valley, NY. 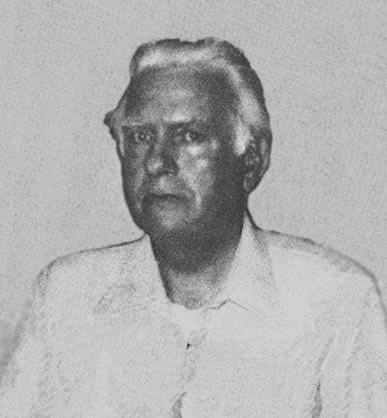 Gerald McCann died at the age of seventy-eight in Spring Valley on April 29, 1995.